De-Escalation: Is There a Cost? Employee morale is an important factor in the success of any business. When worker satisfaction is low, productivity levels fall. Police are no different than any other citizens who work for a living. The question is whether there is a correlation between police morale and rising crime rates. On August 9, 2014, Ferguson Police Department Officer Darren Wilson shot and killed 18-year-old Michael Brown. Special interest groups and the vocal minority were quick to allege, without facts to support their claim, that Officer Wilson murdered Michael Brown. Riots and protests erupted throughout the country in the following days. Attorney General Eric Holder dispatched an army of FBI agents to the small Ferguson community to investigate Officer Wilson and the Ferguson Police Department. Deputy Assistant Attorney General Vanita Gupta oversaw the investigations. President Barack Obama appointed Gupta, the former deputy legal director for the ACLU, to head the Department of Justice Civil Rights Division nine weeks after the Brown shooting. During the Obama administration, the Civil Rights Division investigated numerous police departments, resulting in 15 consent decrees and nine less formal agreements with law enforcement agencies to reform their practices. After President Donald Trump was elected, Gupta resigned from DOJ to become president of the Leadership Conference on Civil and Human Rights. Upon accepting the position, Gupta stated, “This organization is perfectly situated to address the current assault on civil rights that we are seeing today.” 1Sari Horwitz, “Obama Civil Rights Head to Run Leadership Conference on Civil and Human Rights.” Washington Post, March 23, 2017. Grand Jury and DOJ Clear Officer Wilson; DOJ Takes Over Ferguson P.D. Despite the fact that a St. Louis grand jury refused to indict Officer Wilson, FBI agents marched forward with their investigation. Seven months after the incident, the Department of Justice announced its findings that officers of the Ferguson Police Department engaged in a pattern of violating citizens’ constitutional rights. News headlines throughout the country announced DOJ’s conclusions; however, the DOJ’s disclosure that it cleared Officer Wilson was lost in the message. 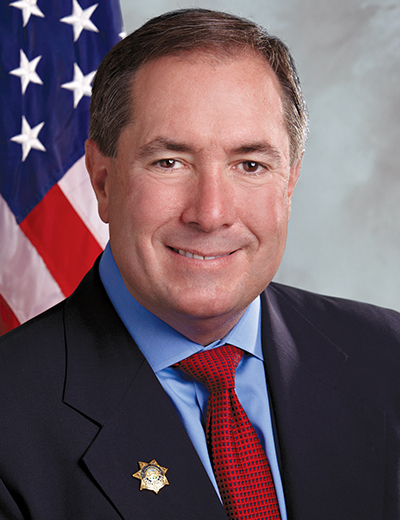 In 2011, the Las Vegas Review-Journal published an extensive analysis, which most police considered biased and unbalanced, titled “Deadly Force: When Las Vegas Police Shoot and Kill.” Shortly thereafter, Sheriff Doug Gillespie requested that the Department of Justice Office of Community Policing Services review the Department’s five-year history of deadly force cases and critique its policy and procedures. On November 15, 2012, DOJ issued a press release subtitled “75 Findings and Recommendations Handed Down to the Department.” During this time, the Department made significant changes to its vehicle and foot pursuit polices. Additionally, the Department’s use-of-force policy was overhauled with an emphasis on de-escalation. The Department also instituted new Use of Force and Tactical Review Boards with a commitment to critically review deadly force cases. Numerous officers, as a result, have received discipline and faced termination. After DOJ’s review and the implementation of LVMPD policy changes, crime rates increased. According to the FBI’s Uniform Crime Reporting Statistics, LVMPD reported a significant increase in violent crimes in 2014. Additionally, LVMPD revealed that violent crime was up 14% in 2016. 2Wesley Juhl, “Sheriff Seeks to Reassure Public After Violent Year in Southern Nevada.” Las Vegas Review-Journal, January 6, 2017. “But I’ve also heard another explanation, in conversations all over the country. Nobody says it on the record, nobody says it in public, but police and elected officials are quietly saying it to themselves. And they’re saying it to me, and I’m going to say it to you. And it is the one explanation that does explain the calendar and the map and that makes the most sense to me. “Maybe something in policing has changed. Upon hearing Comey’s comments concerning what was described by the media as the “Ferguson Effect,” the White House criticized his speech as being speculative. Comey remained resolute in his thoughts, and doubled down three days later in a speech to the International Association of Chiefs of Police. Comey’s prepared comments were almost identical to the remarks given to the law students. Despite the apparent criticism from the president and attorney general, Comey did not back down from his comments, and the nation’s cops later backed him up. On a local level, Sheriff Joe Lombardo told the Review-Journal, “I have to push back. As the leader of this agency, I’m not in agreement with those comments … I don’t see my police department, my police officers, actively de-policing in addressing the crime that’s occurring in their community.” 3Wesley Juhl, “Clark County Sheriff Disagrees With FBI Director, Says Metro Is Understaffed.” Las Vegas Review-Journal, May 17, 2016. In conclusion, Sheriff Lombardo blamed the rise in crime on staffing shortages. Seven months after Director Comey’s remarks, the Pew Research Center, a nonpartisan fact tank, conducted a survey of almost 8,000 police officers nationwide. 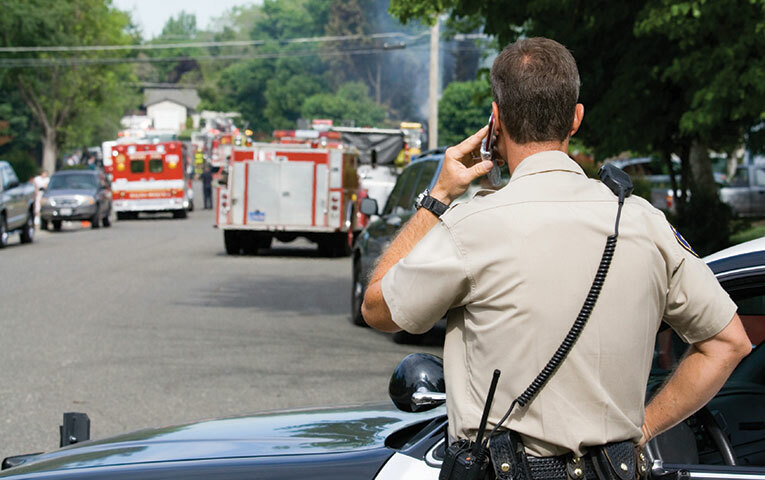 The report, Behind the Badge, documented police attitudes toward job-related issues. Most officers (86%) feel that the high-profile shootings that have occurred in the last few years have made their jobs more difficult. As a result, 85% of law enforcement officers in larger departments similar to LVMPD are reluctant to use force when appropriate. Of those polled, 72% stated that officers in their department are less willing to stop and question suspicious suspects. Not surprisingly, 93% of cops worry more about their safety. About 86% of the respondents believe that the public does not appreciate the risks that police officers face every day. Approximately 56% of the officers said they have become more callous since putting on the badge. Finally, only 42% of the officers receive satisfaction from the work they do for the community. These poll results certainly validate Comey’s assertion that some peace officers are less inclined to engage the criminal element. The findings raise serious questions regarding law enforcement’s morale and effectiveness in combating violent crime. According to a recent Los Angeles Times story, L.A. County violent crime is up for the third straight year, including a 38% spike in 2016. 4James Queally, “Police Arrests Are Plummeting Across California, Fueling Alarm and Questions.” Los Angeles Times, April 1, 2017. Yet arrests and suspect contacts have decreased dramatically since 2013. LAPD reported a 25% drop in arrests between 2013 and 2015. Statewide arrests were the lowest in 50 years. Additionally, police wrote fewer citations and recorded fewer field interview cards. Field interviews conducted by L.A. County Sheriff’s deputies declined by 67% during 2012 and 2016. LAPD issued 269,500 misdemeanor citations in 2015, compared to 600,000 in 2010. LAPD officers caught officials’ attention in 2015 when they recorded 154,000 fewer citations than the previous year. Politicians scrambled to explain the dramatic decrease in policing by pointing to legislation that made many drug and property crimes misdemeanors. Others blamed budget cuts that led to the elimination of numerous gang enforcement squads. Still others claimed that staffing levels contributed to the declining statistics. 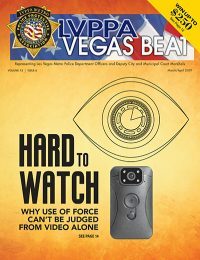 Without conducting a scientifically reliable survey of LVMPD officers, it is not possible to determine whether police morale has played a role in the increase of violent crime in Southern Nevada. In fairness, the protection of our community is a responsibility shared by both police and prosecutors. The district attorney must also aggressively prosecute those who prey upon our citizens. That said, this article should raise serious questions about whether officers are motivated to give 100% effort every day. To borrow a phrase from FBI Director James Comey, is there a chill wind blowing through LVMPD? Have the Department’s restrictive policies caused officers to be less proactive? Are officers less likely to engage suspects because of the microscopic examination of their actions by multiple review boards? Do officers fear termination or criminal prosecution by those who are quick to second-guess their decision to use force? These questions can only be answered by the men and women of Metro. One takeaway from this article should be crystal clear: Your PPA representatives and I want you to do whatever is necessary to go home safely to your family, each and every day. Let us worry about the legal issues; we have your back. 1. ↑ Sari Horwitz, “Obama Civil Rights Head to Run Leadership Conference on Civil and Human Rights.” Washington Post, March 23, 2017. 2. ↑ Wesley Juhl, “Sheriff Seeks to Reassure Public After Violent Year in Southern Nevada.” Las Vegas Review-Journal, January 6, 2017. 3. ↑ Wesley Juhl, “Clark County Sheriff Disagrees With FBI Director, Says Metro Is Understaffed.” Las Vegas Review-Journal, May 17, 2016. 4. ↑ James Queally, “Police Arrests Are Plummeting Across California, Fueling Alarm and Questions.” Los Angeles Times, April 1, 2017.